SpringCM analytics and reporting give you a bird’s-eye view of your entire contract process, showing you exactly where contracts are being held up and identifying opportunities for greater efficiency. Contract reporting allows you to learn the status of any contract at any point in your process. Users are able to view the complete contract process including status, required actions, and the person assigned. This information can also be accessed directly in Salesforce and Salesforce1 interfaces. Allowing sales teams to be even more productive. Any lagging contracts can easily be nudged via email with just the click of a button. 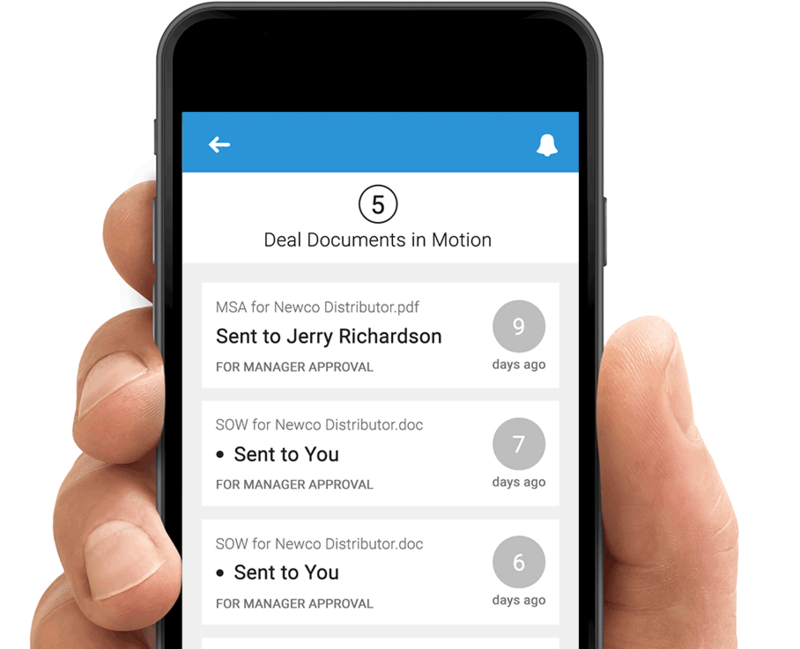 SpringCM works with Salesforce1 to give you in-depth deal visibility from your tablet or smartphone. The result is flexible cross-platform accessibility, allowing you to check the status of a deal from anywhere - whether it be Salesforce, your laptop, tablet or phone. Find out which edition is right for your needs.